I’ve been very busy lately with my freelancing and my own work. Von Herling continues to get inked and I have just under 100 pages of art to complete by October 31st. So anyway, how about another page? So it happens that Brittany’s family is having a big party at their house. That sets things in motion for the key characters to be introduced – that is, the villain and our hero, August Von Herling. The Von Herling inks have been very demanding. 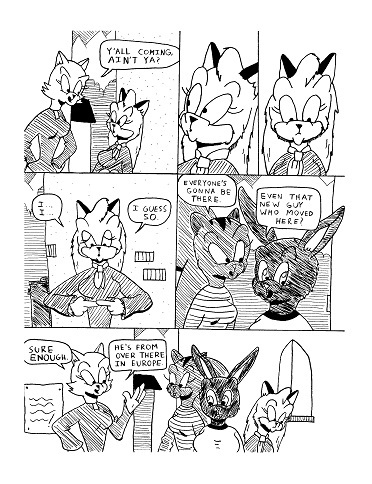 Unlike Sunnyville Stories, I need to use more pen strokes and employ more hatching and cross-hatching. These pages will take some time to finish. My goal is to have all the art finished and the book put to bed by October 31.